Shiv Nadar Foundation, the philanthropic initiative of Shiv Nadar, has sold 56 lakh shares worth over Rs 1,150 crore (Rs 11.50 billion) in HCL Technologies, its entire stake in the company, in open market to comply with regulations. "Governance, tax and legal regulations require the Foundation to sell these shares by March 31, 2015. In fulfillment of these conditions, a sale of 56,00,000 shares of HCL Technologies is effected in the open market on March 9, 2015, which completes the sale transaction," the company said in a statement. The foundation held this 0.79 per cent share of the company by donations from HCL Corporation and Associates. "This transaction has been concluded at one go at a discount to the last closing price of HCL Technologies share to avoid any overhang in the market for shareholders of HCL Technologies," the statement added. 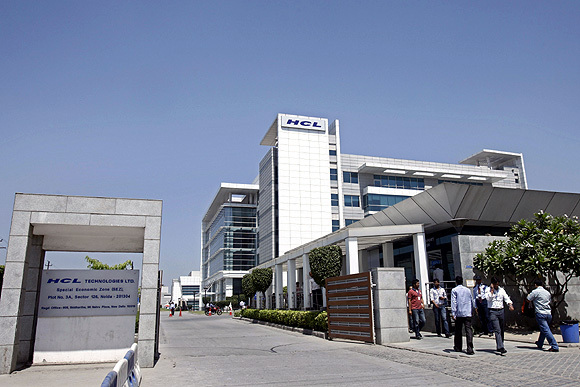 The last sale of shares in HCL Technologies by the foundation was in February 2012. Shares of HCL Technologies on Monday ended at Rs 2,055.55 per scrip on the BSE, down 0.45 per cent from the previous close. Is your broker misleading you?